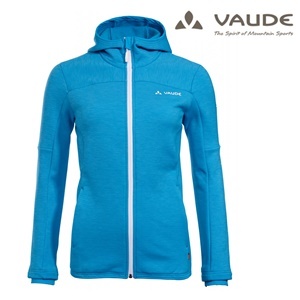 In its Winter 19/20 collection, VAUDE is presenting two new products made from the world’s first fleece fabric with biodegradable fiber on the napped inner surface. 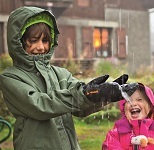 With the Miskanti fleece for hikers and the sportier Shuksan fleece, an ecological textile innovation has gone into series production, offering a solution to the problem of microplastics that are shed during the washing process – a good 40 years after the introduction of fleece fabrics in the outdoor market. Its special feature is the construction. 100 % (recycled) polyester is used on the smooth outer surface. The inner, napped surface of the knitted fabric isn’t made from polyester (as with conventional fleece), but from 100 % wood cellulose fiber. This fiber is biodegradable – even in salt water! So if microfibers are shed from the napped lining of the fleece during the washing process, they can biodegrade in any environment in about 90 days, without leaving a trace behind and without endangering any living organisms. The fabric combines all the advantages of high functionality with environmental protection, because this natural performance fiber has excellent climate regulating and moisture transporting properties. It is absolutely skin-friendly, so it’s safe for people with skin allergies, and offers a luxuriously soft napped inner surface that’s pleasant to the touch. Athletes especially will appreciate the fabric’s antibacterial properties; in contrast to polyester, sweat odors are reduced, so the fleece needs to be washed less often. The Shuksan Fleece Jacket, also with hood, has a high yocell content of 60 %, but is even more robust in construction. The smooth outer surface consists of a mixture of recycled polyamide (25 %), polyester (10 %) and a small amount of elastane. This performance stretch is particularly popular for intensive mountaineering activities, such as ski tours or climbing.